Another unforgettable season of Toronto Fashion Week x RE\SET has come to an end. 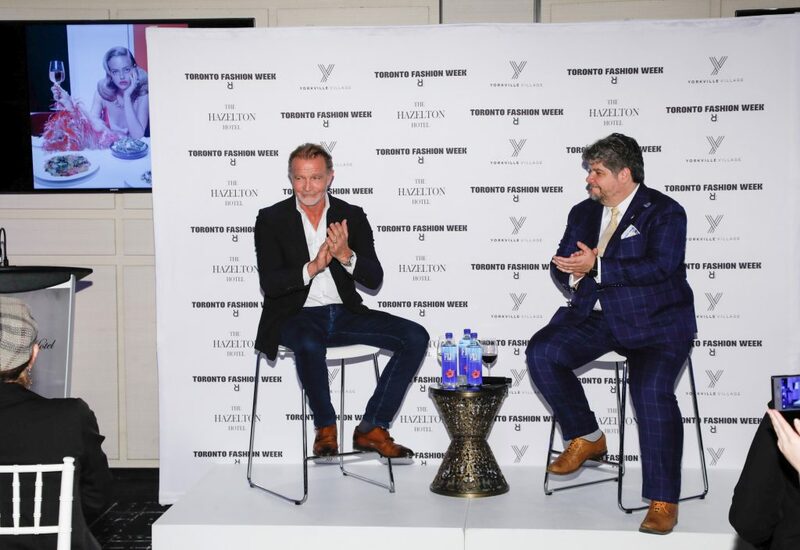 Designers, industry professionals, celebrities and guests came together to enjoy three remarkable days of Canadian fashion in Toronto’s Yorkville neighbourhood. The season’s highlights include stand-out performances, meaningful collections, thought-provoking discussions and show-stopping events. Here is our list of the season’s buzz-worthiest moments. 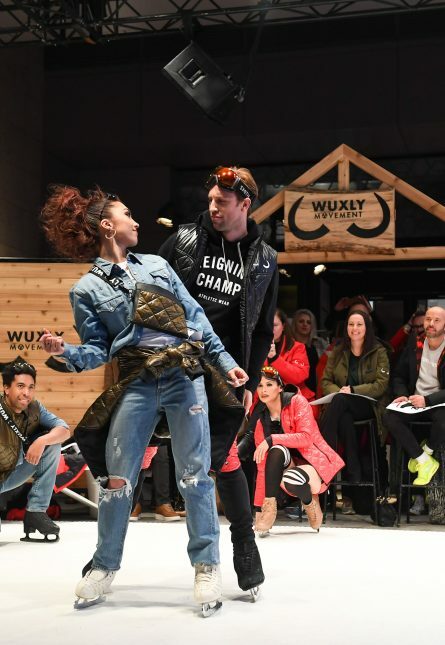 To showcase their latest collection, Wuxly enlisted professional figure skaters, like Olympic gold medalist Gabby Daleman and silver medalist Dylan Moscovitch, to model—on “ice”. 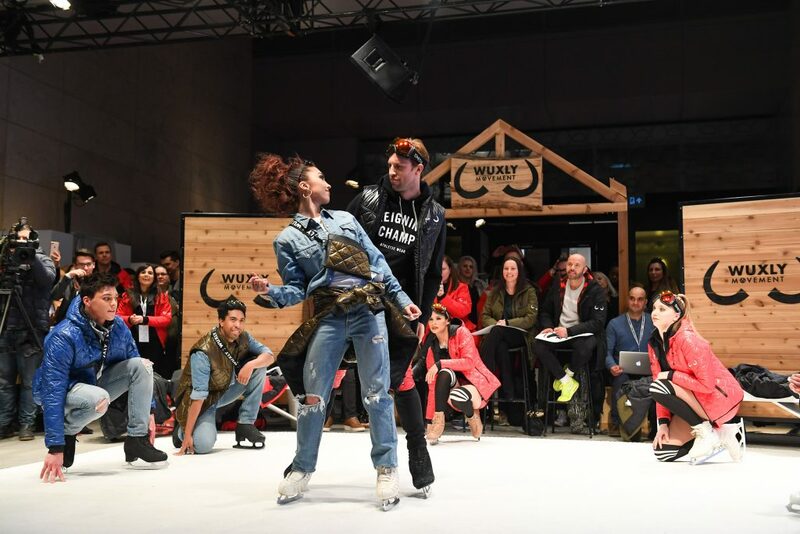 The athletes skated around sporting the brand’s sustainable, vegan coats and even performed a few tricks that wowed the audience. Who knew garments made of bubble wrap could be so chic? On Day 1, David Dixon blew the crowd away at the Royal Ontario Museum with his presentation of elegant gowns, capes and jackets featuring the protective plastic wrap. The collection was presented in partnership with Osteoporosis Canada to help spread awareness about the bone disease. Toronto Fashion Week x RE\SET opened with Style Night, a dynamic retail event for consumers and fashion week attendees in Yorkville Village. The event included on-model fashion presentations by MICHI x Equinox, Andrews x Greta Constantine and ELAMA x The House of Brand. 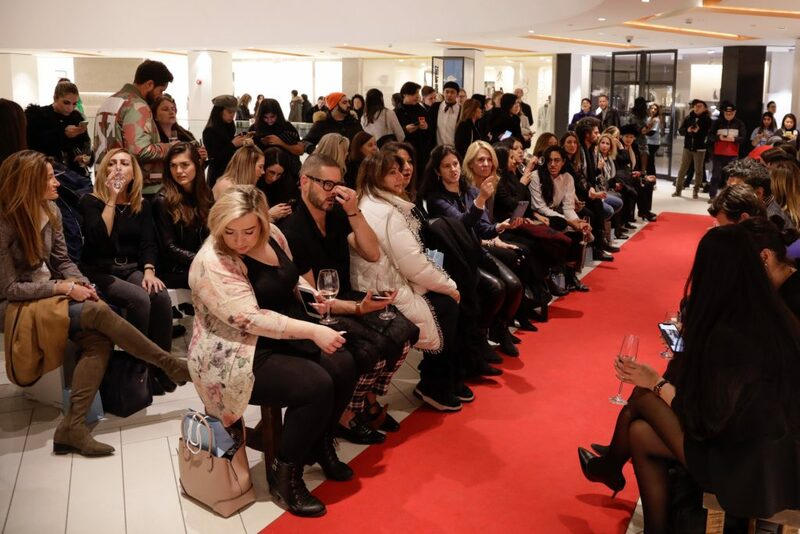 There were also trunk shows at TNT, Judith & Charles x Dean Davidson, a skincare presentation at Radford Studio and special guests from RuPaul’s Drag Race. As we mentioned, Gia Gunn and Kimora Blac of RuPaul’s Drag Race made a buzzy appearance at Style Night. In addition to a meet-and-greet, they took to the runway for ELAMA x The House of Brand, making for a memorable ending to Day 1. 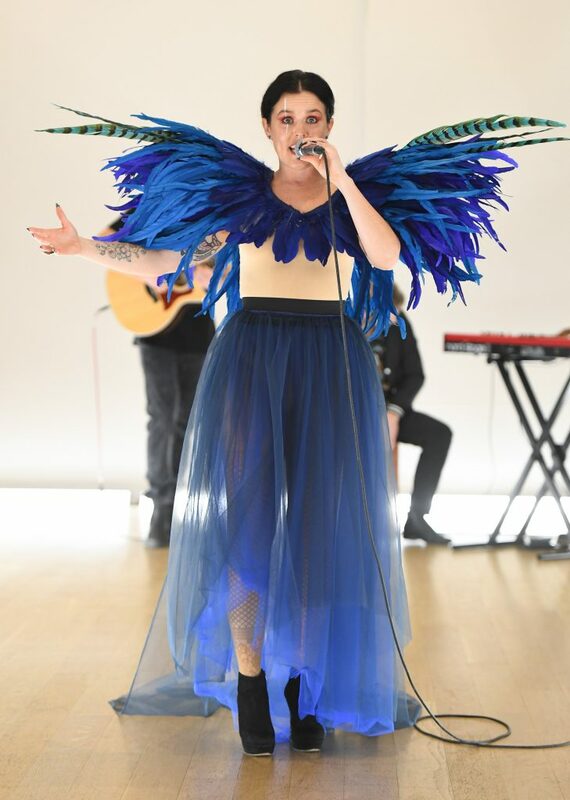 Lesley Hampton enlisted Juno-nominated Indigenous artist iskwē to open her show at the Gardiner Museum, with an unforgettable performance that included the song “The Unforgotten,” complete with an audience call-and-response section in Ojibwe. 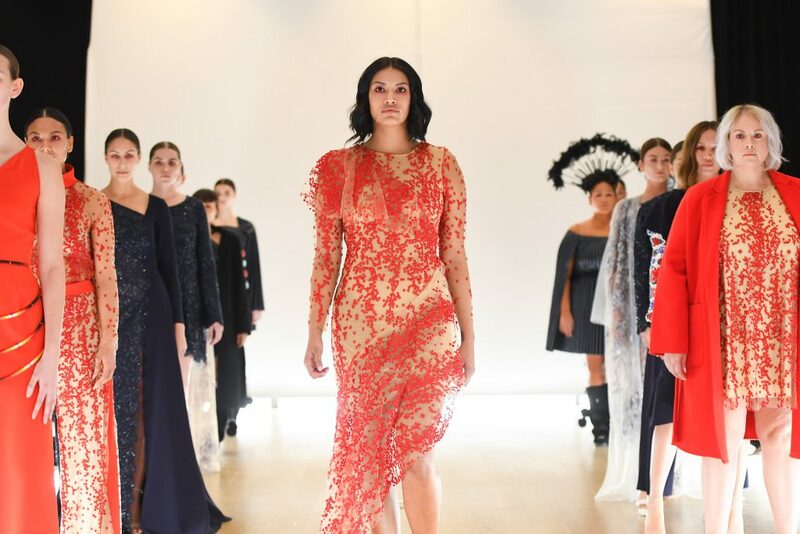 Lesley Hampton paid homage to her Indigenous roots in her presentation, “Eighteen Seventy Six.” In addition to casting all Indigenous-identifying models, Hampton wove Indigenous symbols into her designs, such as the colour red, to bring awareness to the missing and murdered Indigenous women in Canada. At Style Plate, presented in partnership with Winterlicious, Chef Mark McEwan and Toronto Life publisher, Ken Hunt, joined forces at The Hazelton Hotel on Day 2 to discuss food and fashion. Guests enjoyed cocktails and hors d’oeuvres by ONE Restaurant, and a thoughtful panel discussion that explored the relationship between food, art and style. Model Judith Maria Bradley brought her electrifying energy to not one, but two shows at Toronto Fashion Week x RE\SET. 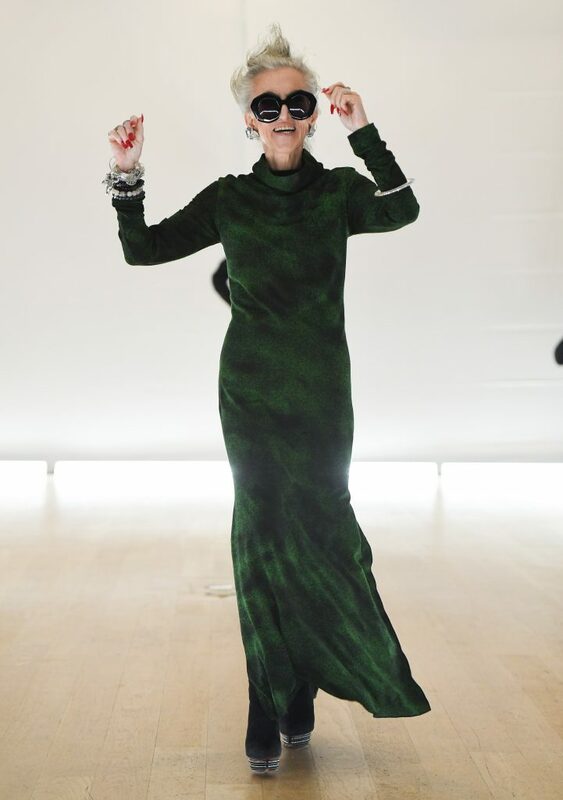 The audience was all smiles as Bradley danced her way down the runway at ZOFF + Alan Anderson and ROCK ‘N KARMA. After a stunning presentation entitled, “With, love,” designer Mani Jassal walked the runway with a few special guests. 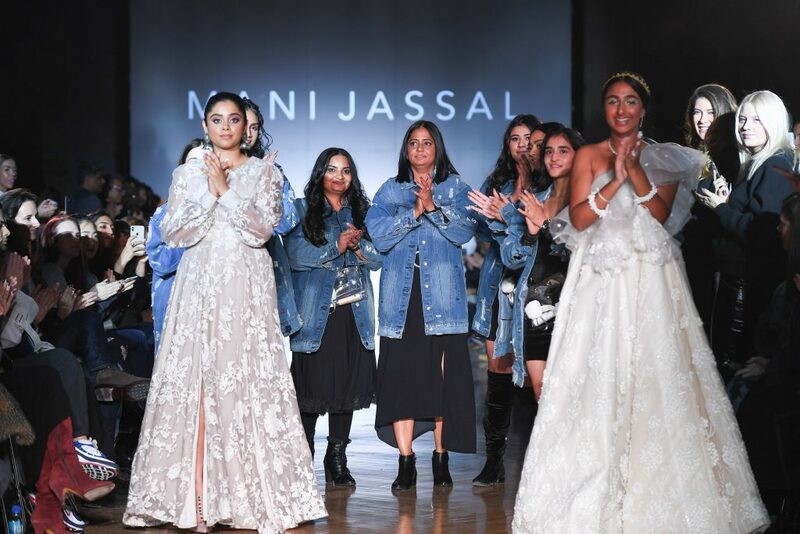 Jassal walked hand in hand with YouTuber Kiran Rai, who wore the last look of the show, while her team, mother and sister followed closely behind, all beaming with pride.